Nathan Kalasho spent seven years nurturing a big dream — to create a school that preserved the Chaldean, Assyrian and Syriac cultures. But as that vision turns to reality with the September opening of Keys Grace Academy Charter School, a bittersweet feeling has set in. The school, which celebrates a ribbon-cutting ceremony tonight and where an open house will be held Friday — is a first of its kind in the United States. What makes it unique? On top of teaching the state’s standards, the K-12 school will ensure that by the time students graduate high school they’ll be proficient in three languages — English, modern Aramaic and either Spanish or French. The school also will offer a Chaldean culture course and a course in Mesopotamian history. “I tried to figure out a way to open up a school that would incorporate strong academics and strong discipline, that would nurture students and serve families and at the same time blend in a rich culture,” Kalasho said. It all stems from a vision Kalasho had — one spurred by his parents who’ve been public school educators since 1992. His parents are Chaldean immigrants from Iraq who came to the United States in the 1970s. “They’re two people who served the community my entire upbringing. They passed down the importance of education and the preservation of culture to me,” Kalasho said. That Mesopotamian history course, he said, will be focused on the Babylonian and the Assyrian civilizations. “These are the civilizations that commonly get forgotten about in the Western world and in particular in schools, which is unfortunate,” Kalasho said. And the school will have a Mesopotamian feel, with antiques, sculptures and replicas of statues, Kalasho said. The school is the first charter to be authorized by Madison District Public Schools. It is open to students throughout metro Detroit. “We are very much supportive of what’s going on at Keys Grace,” Madison Superintendent Randy Speck said last week. The school’s location may mean some students currently enrolled in his district might leave. And while the cultural focus is what draws attention, there are several other features of the school that make it stand out. For one, students will receive free transportation from their home to the school — no matter where they live. It’s an unusual service for a charter school, particularly given that its students so far are hailing from 20 metro Detroit school districts — some as close as Warren and Sterling Heights and others as far away as West Bloomfield. Students also will receive free uniforms, shoes, tablets or laptops, and breakfast and lunch every day. The school already has 300 students enrolled — about 70% of whom are Chaldean. Another 200 are expected to enroll before the school year begins in September. When the school is at full capacity, it’ll enroll up to 600 students, Kalasho said. 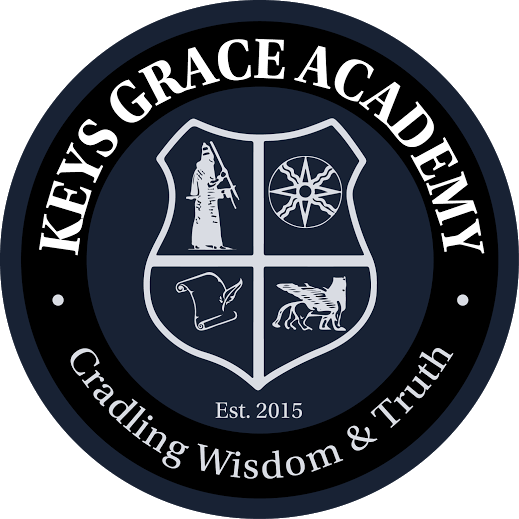 Keys Grace Academy Charter School is holding an open house from 11 a.m. to 4 p.m. Friday at the school, 27321 Hampden in Madison Heights. For more information about the school, call 248-629-7700 or visit www.keysacademies.org.